In 2010, we got the first Ford Raptor off-road performance truck. Soon after, the Ford Ranger left America. I know people have been hoping that some way, some how, the two would be combined and now you can literally watch that happen. We still have to pray that the Ford Ranger Raptor will some day be sold in America, but for now it’s pretty neat to watch them get built. 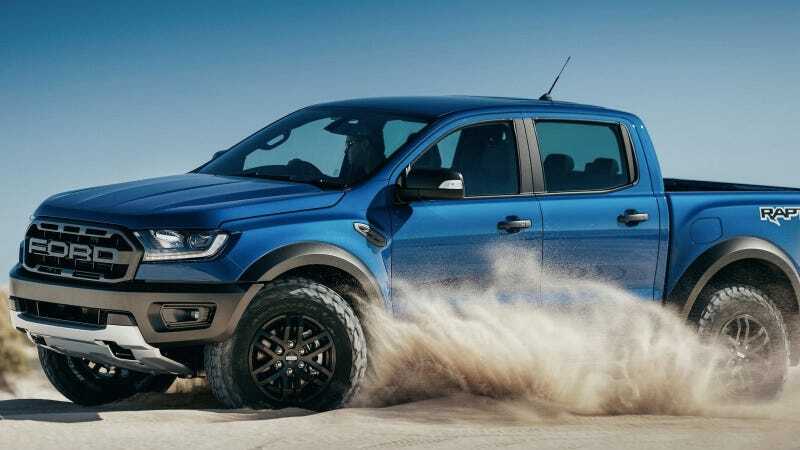 We do know that the 2019 Ford Ranger, in non-Raptor form, will be hitting American dealers for sure to compete against the Chevy Colorado, GMC Canyon, Toyota Tacoma, Nissan Frontier and kind of, the Honda Ridgeline. The new U.S. market Ranger is neat but based on specs alone, I’m not convinced it’s going to stand out in our current mid-sized market. However, a badass air-grabbing sand-mashing Raptor version with Fox off-road shocks and aggressive tires? Now that I would be pumped to see. I think an EcoBoost-powered Ranger Raptor could give the cool but slow Colorado ZR2 a run for its money, and that would be a great new battlefield for the old Ford versus Chevy showdown that seems to be endless and ongoing.